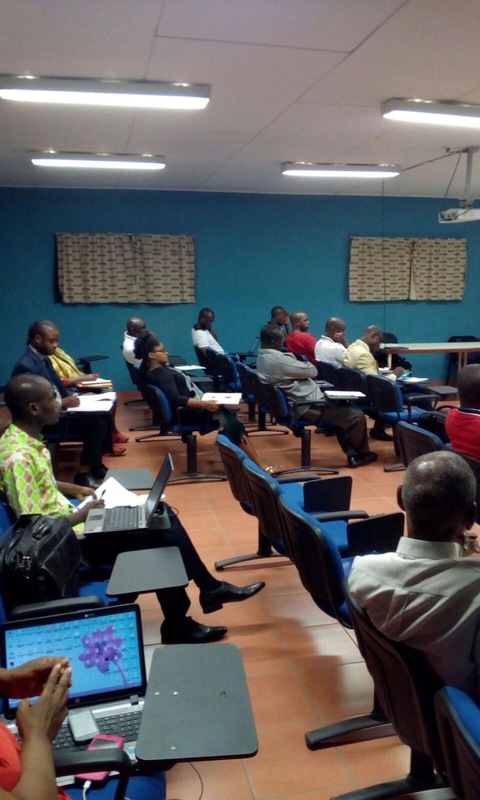 On 19 March In Abidjan, Côte d’Ivoire, where the E4Impact MBA was launched for the first time in French in October 2015 in collaboration with the Centre de Recherche et d’Action pour la Paix (CERAP), a Business Model Competition was launched by the programme. It was won by local woman entrepreneur, Anne-Auguste Andrée Stéphanie Nda, whose start-up business venture, Prosperité 2.0., aims to be the first crowdlending platform in Côte d’Ivoire. E4impact Foundation aims to enhance the sustainable development of fast growing economies by favoring the formation of impact entrepreneurs and the growth of their businesses. It is currently present in Kenya (Nairobi), Uganda (Kampala), Ghana (Accra), Sierra Leone (Makeni), Côte d’Ivoire (Abidjan), Senegal (Dakar) and Tanzania (Mwanza). To achieve its goal the Foundation, in collaboration with Università Cattolica del Sacro Cuore of Milan and a local university from the host country, offers the Global MBA in Impact Entrepreneurship. The MBA program guides active and aspiring entrepreneurs to start or scale their business, giving them simultaneously an academic and business acceleration experience. This unique MBA allows participants to continue their job while studying, since it blends both classroom (only 40 days in class) and on-line lessons and it gives them a minimum of three opportunities to pitch their project to a jury of potential investors and partners. One of these opportunities is the Business Model Competition, generally held in the middle of the programme. 1st Position – Anne-Auguste Andrée Stéphanie Nda, founder of Prosperité 2.0, a Start-Up aiming to be the first crowdlending platform in Côte d’Ivoire. 3rd Position – Désiré Dali Brou, founder and CEO of TERIVO, a chain of restaurants serving dishes composed of 100% local ingredients. He is already active in Cocody (Abidjan) and aims to scale-up opening two restaurants in Yamoussoukro and Bouaké. 4th Position – Constant Kikoun Touré, founder of ATELOG, a shipping terminal dedicated to solve major hurdles encountered by local SMEs and cooperatives when exporting. Right now these Ivorian entrepreneurs are attending online lessons and working at their businesses together with a dedicated business coach. They will transform their business models into business plans by the end of September, when they will present them at the final Business Plan Competition in front of potential investors and partners. The second edition ofE4Impact MBA at CERAP will begin in October 2016. The University is currently collecting applications of Ivorian active and aspiring entrepreneurs willing to scale their businesses and bring a positive change in their country.